Invoicing and Financial course"); /* Text commented out as it's no longer required (or apparently operational). Steve Moss 23/Mar/2017. // replace text on details page var dpText = "\u2022 Complete this self-paced learning course in your own time, from wherever you like. Whether you are time based billing or fixed prices, this course takes you through everything you need to know. This series of video tutorials explains how invoices can be created for actual time and costs or for fixed prices. creating progress invoices to bill for a deposit as a percentage of the quoted value of a job or for a set amount. set up multiple rates for staff and task billing. Where do the rates come from? When you register for a WorkflowMax course in the SkillJar Learning Management System, you need to provide your name and email address. As you complete courses, we record various items that allow you to track your progress. These include details of your advancement through each course, scores in quizzes, dates of completion, and course certificates. Request access to information that WorkflowMax has about you. 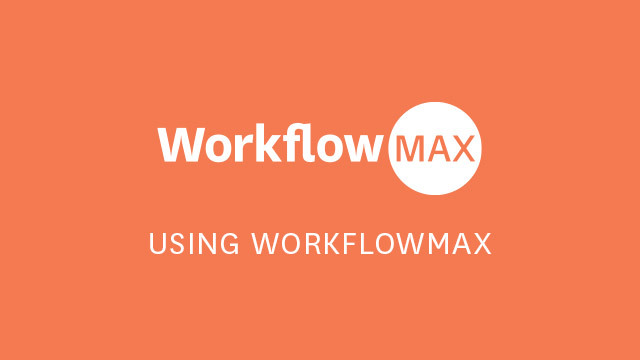 Correct any information that WorkflowMax has about you. Delete information that WorkflowMax has about you. If you have any questions about our collection and storage of data in SkillJar, please contact us at support@workflowmax.com. As WorkflowMax is a Xero company, please go to the Xero Privacy notice for further details.